Pretty simple. All you’ll need is a blender. Find the blender. Find all the parts to the blender. Cut up the banana into one inch pieces and split those down the middle. Clean the strawberries. Remove the stems and cores. Cut away any bad spots on the strawberries. Slice in half the long way. 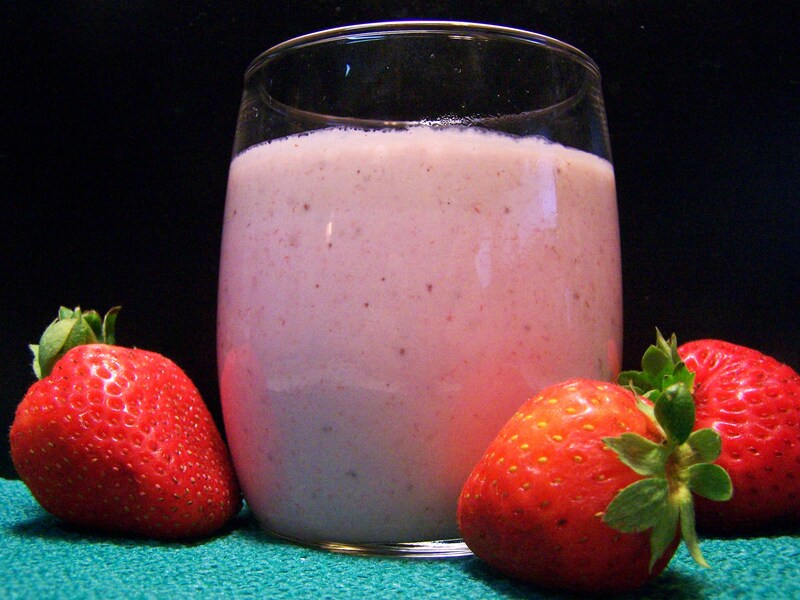 Add two cups of plain yogurt to the blender. Add the sliced strawberries, followed by the bananas. Cover the blender. Blend together until one homogenous mass, or mess if you forgot to put the cover on. Trader Joe’s has a good selection of one quart size plain yogurt. If the smoothie is a little too thick, blend in an ice cube or two. If the finished smoothie is not sweet enough for your taste, blend in an individual size package of artificial sweetener. You may need to stop and restart the blender at times, gently pushing the strawberries/bananas down to the bottom while the blender is stopped. Don’t use your fingers to push. This entry was posted on 07/04/2012 at 09:05 and is filed under Recipes, Recipes, food, cooking and related items. You can follow any responses to this entry through the RSS 2.0 feed. You can leave a response, or trackback from your own site.